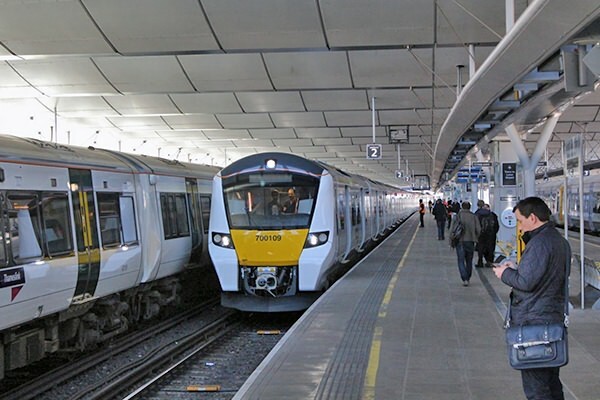 Class 700 units ventured out onto the main line for testing in daylight from late January 2016. (above) 700109 fails to capture the attention of one passenger at Blackfriars on 2nd February! Does he not know something interesting is happening? This unit was working between Three Bridges depot and, it is supected, Cricklewood Carriage Sidings. Note all are 12 car units so far.